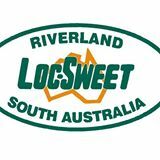 Based in Ramco, in the heart of the Riverland citrus producing area, South Australia, Lochert Bros. have been packing and marketing quality Australian citrus since 1963. Each year we export over 330,000 cartons of citrus to various South East Asian, New Zealand, Japanese and North American markets, while actively exploring new market opportunities. Lochert Bros. currently handles almost 25,000 tonnes of citrus, which is over 20% of South Australia’s orange production.